Hey ya'all . I wanna ask something about my samsung s3 gt-I9300. My battery drain much faster. it will decrease -1% in 1-2 minutes. Im not a big apps user but i realise this happen after i root it and after that im unrooted it . factory reset. it just same. is it cause by custom rom or battery problem ?. Well, @Eldrin I don't think we can guess where the problem is, it might be because of the custom ROM, Battery problem or both. I would suggest first try checking the battery, I remembered a trick shared by AndroidPit user @Mobile Crackers Remove your battery, put it over the flat surface, and try to spin it. If it starts rotating then get ready to buy a new one, because the battery might be swollen and needs replacement, otherwise I try flashing the stock ROM over your S3. 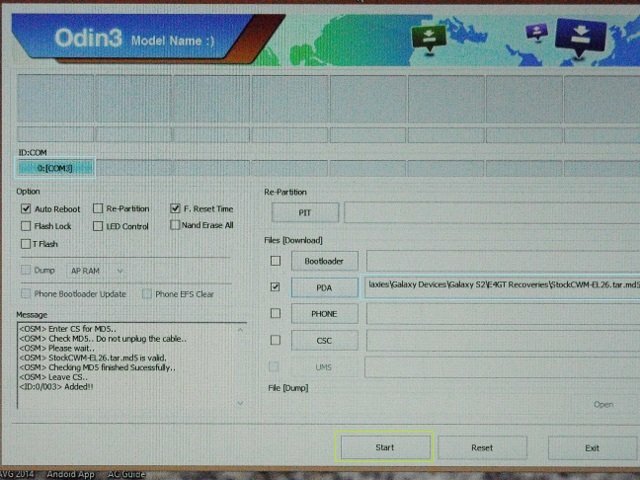 Here have a look at our post How to install KitKat on Galaxy S3 by Kris Carlon . you can tell if your phone's battery is bad by putting it on a flat surface and trying to "spin" it If it spins, supposedly the battery is swollen and needs to be replaced. are you using a custom rom ? Here, it goes @Eldrin, I guess @Mobile Crackers is there to help you out on this !! Now the problem isn't going to bother you at all !! Yes im using custom rom but im trying to flashtock to my origin firmware using odin and i dont know why odin doesn't detect my device. it run well and said pass but when im trying to update software it said your "device had been modified". How come ?